With Mac devices infiltrating just about every small and large organization on the planet, IT admins are in a quandary. Many are wondering how they can manage their Mac fleets, from both a systems and user management perspective. 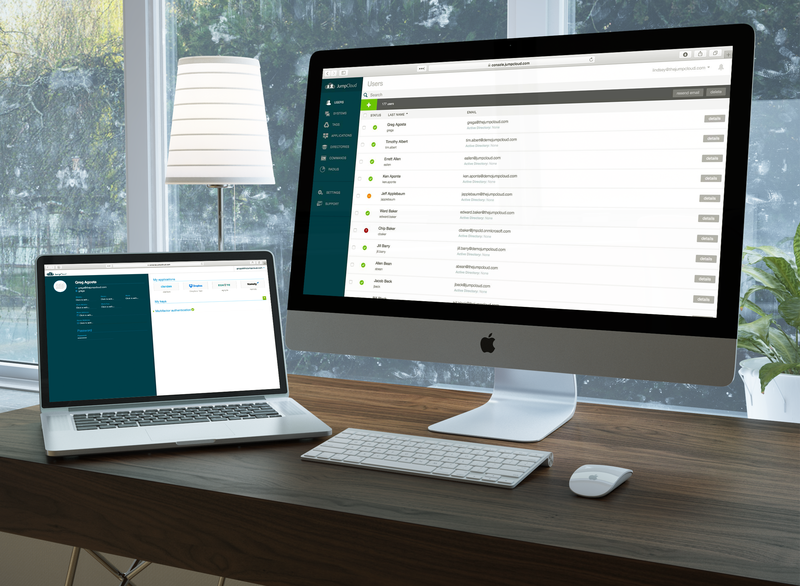 Managing Mac fleets used to be incredibly hard, but now with the introduction of the cloud identity management function Mac device authentication, IT organizations can easily and quickly manage their Mac devices. Macs used to be unique in most business environments. Even just a decade ago, Macs weren’t nearly as prevalent as they are today. 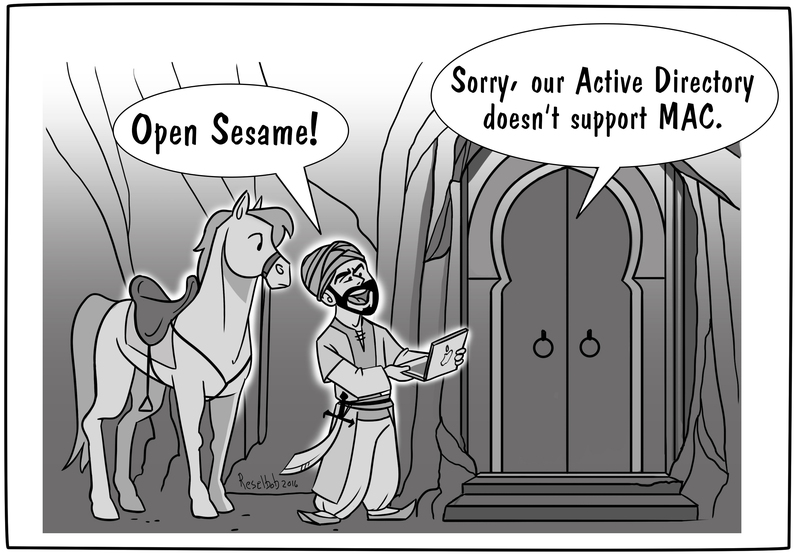 Back then, Microsoft Windows dominated the landscape. Now, only one in five devices is Windows based (Forbes). The balance of devices is Mac, Linux, iOS, and Android. Macs, of course, are the ones that are most visible within office environments, but all of these non-Windows platforms are difficult to manage. As Windows became the dominant platform around 2000, Microsoft and third party organizations built management tools for IT around that platform. This worked well at the time because the IT environment was homogeneous and on-prem. However, as the IT landscape started to change with the advent of the cloud, mobile devices, and the rise of non-Windows platforms, the challenge for managing an IT network grew. Of course, this was especially true for Macs. Apple likes to tightly control the end user experience, and Microsoft has no interest in promoting the macOS platform. The result is that legacy management tools like AD struggled with the management of Mac devices and user management. A new generation of management tooling is emerging to not only manage mixed platform environments, but to tightly control user access regardless of the user’s location, system platform, cloud or on-prem provider, and necessary authentication protocol. The cloud identity management solution Directory-as-a-Service® (DaaS) is securely managing and connecting user identities with the systems, applications, and networks that those users need. As a cloud directory service, Directory-as-a-Service, authenticates, authorizes, and manages users and IT resources. One particular platform that the agent works very well on is Macs. 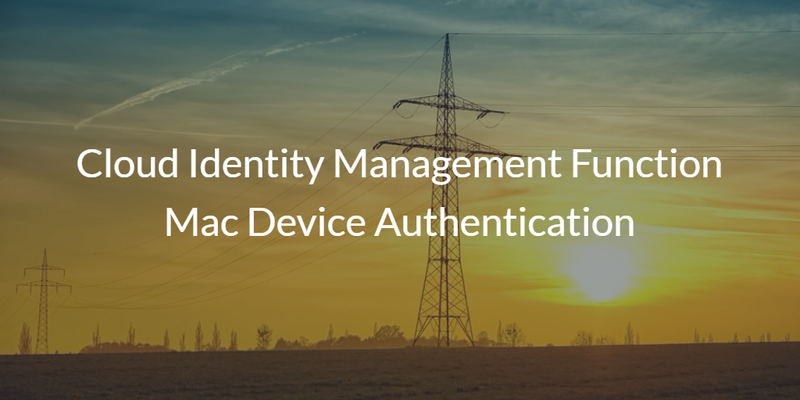 The cloud identity management solution natively manages users on Mac devices. Through a lightweight agent that sits on each Mac, IT admins can provision, deprovision, and modify user access. IT can also control system management functions such as password complexity, screensaver lock, FileVault, and many other parameters. All of the user and system management is done through a web-based console, and the entire system lives in the cloud. If you would like to learn more about the cloud identity management function Mac device authentication and how Directory-as-a-Service solves this issue, drop us a note. Or, feel free to sign-up for a JumpCloud cloud directory account and check it out for yourself. Your first 10 users are free forever.